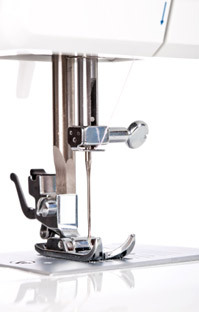 Sew Commercial are commercial and industrial sewing experts, we offer a complete range of sewing services and products. Part of the Leisure Interiors Group, we have over 30 years of commercial sewing experience. Our skilled team of designers and machinists produce top quality large sewn goods ranging from beautiful elaborate marquee linings and curtains to covers for everything from garden furniture to cars . All our work is carried out in-house using first–rate traditional equipment, methods and materials, combined with the latest computer technology enabling us to work very efficiently and produce value for money top quality work to tight deadlines. Our skilled team are happy to help you with everything from the smallest detail fix of an existing product, to the design of something completely new providing you with a great solution to meet your needs and budget. Ask about our equestrian blanket or rug repair and laundry service.